Thank you for visiting our site. 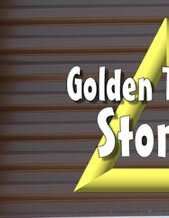 You'll find Golden Triangle Storage to be a well maintained and modern facility. Our pride in being family owned and operated shows. We are on site daily and look forward to serving you. Located within blocks of Highway 441 we offer a variety of climate and non climate controlled units, office suites for your business and a parking area for recreational vehicles. Your safety and security is our top priority. We are pleased to offer a completely fenced in storage area with computer controlled entry. Our facility is well-lit with 24 hour video surveillance. We realize that you have many options when looking for a storage provider. Because Golden Triangle Storage is one of the newest and top operators in our area we are able to offer you a state of the art facility at affordable rates.